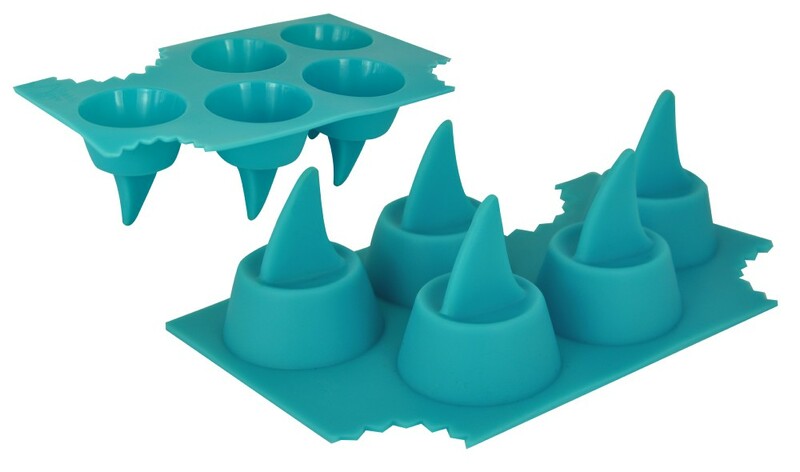 Ice cube tray which makes five "sharks-fin" shaped ice cubes. Made from hard wearing silicon rubber. Easy to clean and very hygenic. 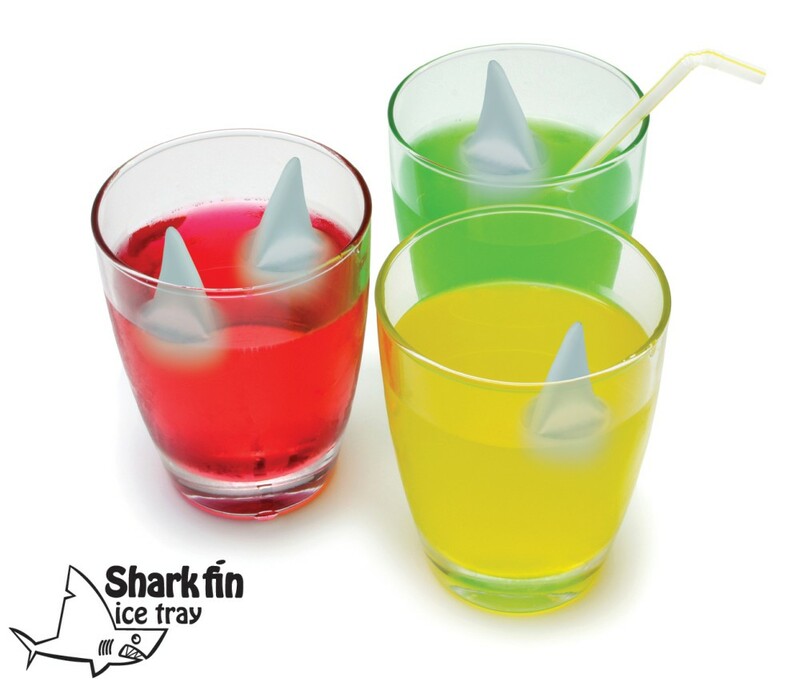 The fin ice cubes worked really well, the more they melted the better they worked.